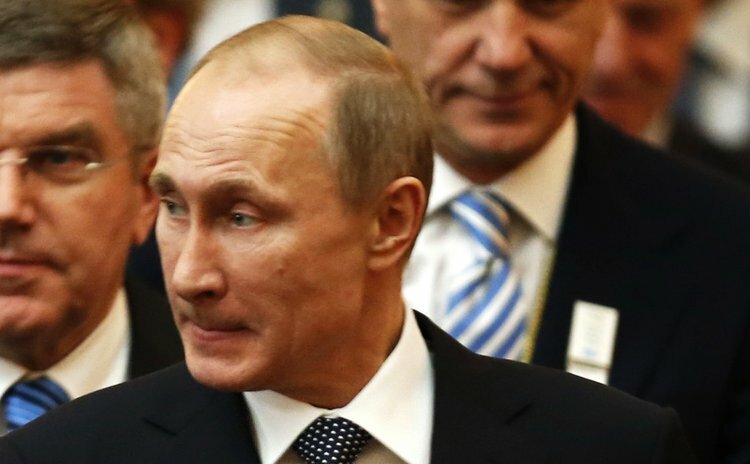 MOSCOW, March 1 (Xinhua/Sun) -- Russian President Vladimir Putin has not yet decided on the use of military force in Ukraine despite winning the green light from the upper house of parliament for such a move, presidential spokesman Dmitry Peskov said Saturday. "Now that the Federation Council, upper house of parliament, adopted the relevant decision, the president has received the full array of means needed for settling the situation both in terms of using troops and in terms of making a decision on the head of our diplomatic mission in the United States," Peskov told a local television station. Putin had not yet made either decision, and he would make decisions depending on how the situation evolves, the spokesman said. "We would like to hope that the situation will not develop the way it has been developing up to date -- escalation and threat to the Russian-speaking population in Crimea," the Itar-Tass news agency quoted Peskov as saying. Earlier in the day, Putin asked for approval of using armed forces in Ukraine "in connection with the extraordinary situation in Ukraine, the threat to the lives of citizens of the Russian Federation, our compatriots, and the personnel of the military contingent of the Armed Forces of the Russian Federation deployed in the territory of Ukraine ( Autonomous Republic of Crimea)," the Kremlin said. His request came hours after the State Duma, lower house of the parliament, asked him to take measures to stabilize the situation in Crimea, a Ukrainian autonomous region that is the epicenter of the ongoing crisis in the former Soviet republic. The troops would be used until the "political-social situation in the country is normalized," the Kremlin said. Also Saturday, Russian Federal Council chairperson Valentina Matvienko said neither NATO nor the United States had any legal justification for using armed forces in Ukraine. "We are acting in strict compliance with legislation and the Constitution. One needs a reason to use such an extreme measure," the Interfax news agency quoted her as saying. Yuri Vorobyov, Federal Council deputy chairman, said Saturday that U.S. President Barack Obama had "crossed the red line and insulted the Russian people" by warning that "there will be costs" for any military intervention in Ukraine. Calling Obama's remarks as "a direct threat" to Russia, he insisted that Russia recall its ambassador from Washington. Ousted Ukrainian President Viktor Yanukovych, who showed up Friday for the first time in his week-long hiding, said in a statement Saturday that he condemned "the attempts of those who have seized power in Kiev to force their ways in Crimea." He supported Crimean authorities' appeal to Russia for " comprehensive assistance to, and the protection of, the Crimeans."